Beverly McIver was born in Greensboro, NC in 1962. She is the youngest of three girls born to Ethel McIver. She is legal guardian to her eldest sister Renee, who is mentally disabled. McIver’s efforts to balance her career with the challenges of her role as caretaker are chronicled in the HBO2 documentary, Raising Renee. McIver is widely acknowledged as a significant presence in contemporary American art in general and has charted a new direction as an African American woman artist. She is committed to producing art that consistently examines racial, gender, social and occupational identity. Her work is in the collection of the North Carolina Museum of Art, the Weatherspoon Art Museum in Greensboro, NC, the Baltimore Museum of Art, the NCCU Museum of Art, the Asheville Museum of Art, The Crocker Art Museum and the Nelson Fine Arts Museum on the campus of Arizona State University. 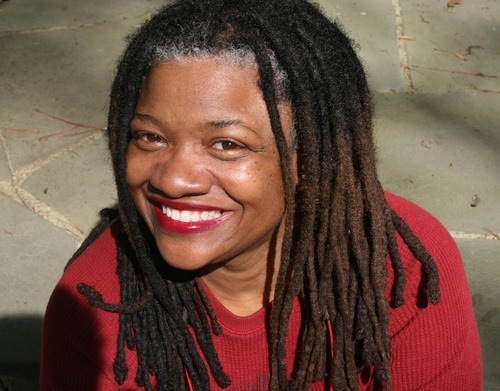 She is currently the Suntrust Endowed Chair Professor of Art at North Carolina Central University. Prior to this appointment, McIver taught at Arizona State University, Duke University, North Carolina State University and North Carolina Central University. She has also held residencies at many of the nation’s leading artist communities and has served on the board at Penland School of Arts and Crafts and currently serves on the board of directors at YADDO in Saratoga Springs, NY. McIver’s work has been reviewed in Art News, Art in America, and The New York Times and a host of local newspapers. She has received numerous grants and awards including a John Simon Guggenheim Fellowship and a Radcliffe Fellowship from Harvard University. In 2010, McIver received the Penn State Alumni Fellow Award, which is the highest award given by the Penn State Alumni Association and is presented for outstanding professional accomplishments.